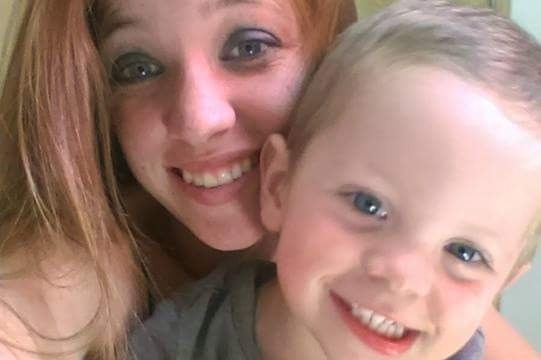 Cortney Snyder was shot and killed, Sunday, January 28th. The only thing she did was give someone a ride to their car. I've known this family my entire life. She leaves behind her 4 year old little boy, who was the love of her life. How do you tell this little boy that mommy isn't coming home? The entire family is understandably devastated. They don't have the money for this. How do you bury your 23 year old daughter? Please donate if you can and pray for Cindy, Rick and little Chase. Hello all. I need to post this update as per the Go Fund Me rules. I have always been very close to Cindy Snyder and her family. We are not related, but when asked how long I've known the family, well I am 58 years old, so my answer would have to be 58 years. Cindy barely uses email and can't remember her password (and Cortney isn't here to help her.) You have to have an email to withdraw the money. Therefore, with Cindy's 100% approval, I will be withdrawing the money. As soon as it gets deposited into my bank account, I will write her out a check and deliver it directly to her at her home. Once again, God Bless You All! Hello all. When I talked to Cortney's mom and grandmother Sunday morning after this horrific tragedy, I felt so helpless. I didn't know what to do for them. Through their tears, they didn't know how they were going to pay for this. I decided to give this Go Fund Me thing a whirl. I'm still pinching myself over the outpouring of love, prayers, support and donations. Not just for Cortney but for all the victims. I know I can speak for the family, to say Thank you with all their heart and soul. I raised the donation level, (I think), because I have since found out they need $7,500.00 for funeral and burial costs. (I'm not real good with computer stuff.) God Bless All of You, and God Bless these kids. Hug your children!